So you have your trip to Thailand planned and are now looking around for something cool to do. An airplane graveyard! Because why not? 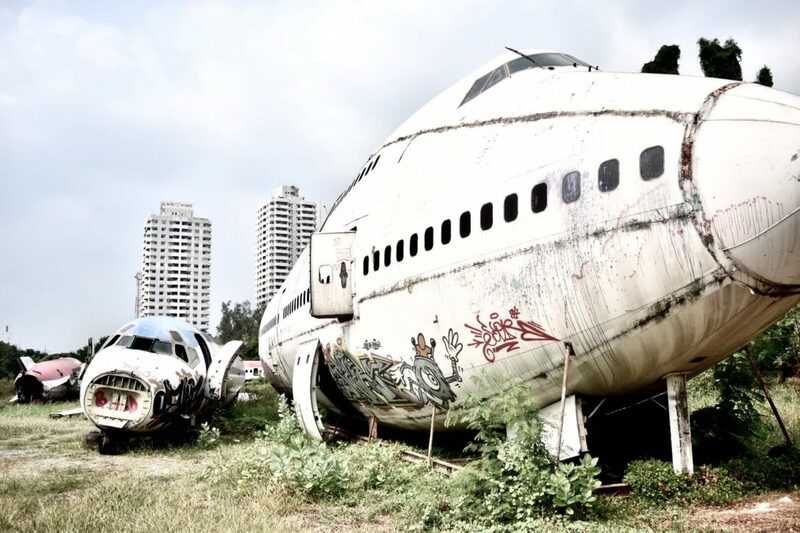 Just over the bridge off Ramkhamhaeng Road in Bangkok, half a stripped apart old 747 and two smaller planes also stripped of their most important parts sit derelict lying in pieces. Despite the peculiar nature of seeing huge planes lying in a small field off the side of the road with nothing more that a homemade picket fence to keep people out. It then becomes sheer curiosity you begin to investigate further. Skip down if you need fast directions on how to get there. One hot January morning we decided to do just that, lets take a look to see if we can find this so-called Airplane graveyard. Although there are some sketchy details and directions on how to get there on the internet we decided to make our own way there to see what we could find. 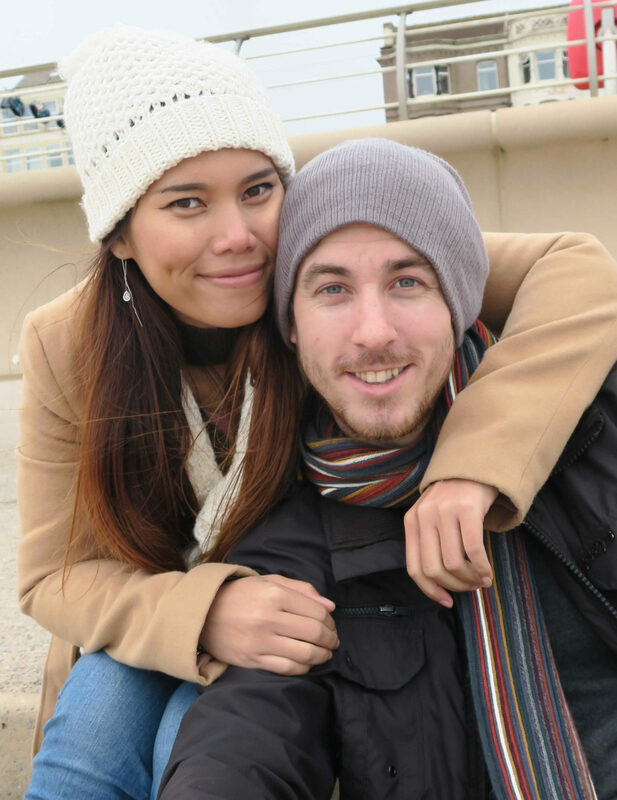 After being born and raised here in Thailand, when Mark told me there was such a thing I had to question him because I never heard of such a thing. By now you’ve guessed that we found it. When you first turn on to Ramkhamhaeng Road and start walking towards the bridge, you can’t miss the huge 747 lying in the middle of the rust yard. At that point we both knew we made the right decision to find the Airplane graveyard. As we walked past the wooden picket fence to where the gates looked to be. It was still morning and we could see nobody in or around the planes. As we stood by the padlocked gates there were two children who came running out to us didn’t say anything at first then Mark asked ‘lifting the Nikon in the air’, “Photo! Photo! can we take Photo!” the children then replied 300 Baht each. We knew there would be a fee to get through the gate and we previously decided that whatever they say we should not grumble or ask for any discounts because they are only trying to make a living in the small conditions they have. We paid the gate fee then a key appeared and the padlock was unlocked, we figured we had about 1 – 2 hours going off what other guides have said the timescale you get for taking a look and to take some photos. As we had been there for about 45 minutes now and taken a lot of photos already. Some more people started to arrive and Mark got talking to an Italian guy who had brought his son along with him to take some cool photos. He was asking about payment and how much did we pay we told him and he said he had paid the same but he didn’t think he should have paid for his child, he then replied in jest If I wasn’t with my child I would have jumped the fence and made them chase me rather than paying. Either way the people that reside there make a decent amount of money from the gate fees. We continued to take the rest of our shots and explored the rest of the grounds. An hour is about all you need to see everything and take a few action shots. Other fantastic things to do in Bangkok Click here! The way we got there is by BTS then the Klong canal ferry followed by a small walk. Jump on the BTS to Ratchathewi, Then catch the Klong canal boat to Wat Sri Bunruang pier. You will not get lost because its the very last stop that you want for the airplane graveyard. Once you are out of the boat walk around the temple then out onto the street. You will now be on Ramkhamhaeng Road turn right from here and keep walking over the small bridge. You can’t miss the airplanes in the open land on the right. Tell the taxi driver you want to go to Ramkhamhaeng Road 103. This will take you right outside the grounds. Married In Thailand, We did it!